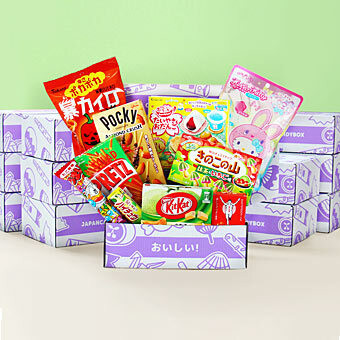 Take a peek which Japanese snacks were included in the June Japan Candy Box! 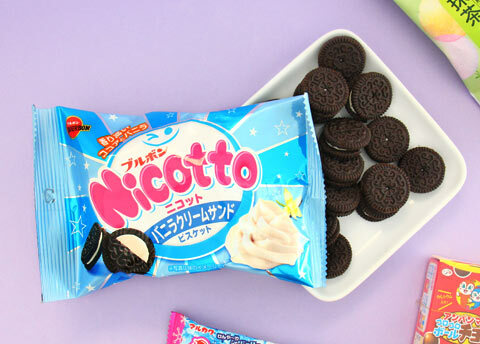 The refreshing sweetness of vanilla cream sandwiched between delicious cocoa biscuits. 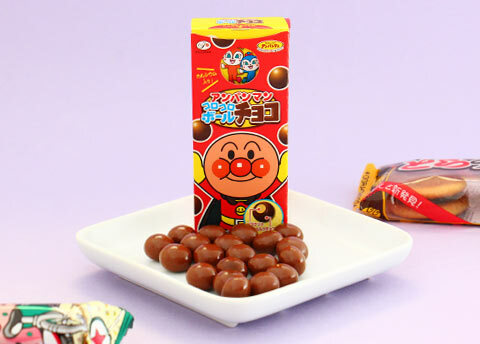 Chocolates featuring characters from famous anime Anpanman - a superhero whose head is made from a red bean paste bun. 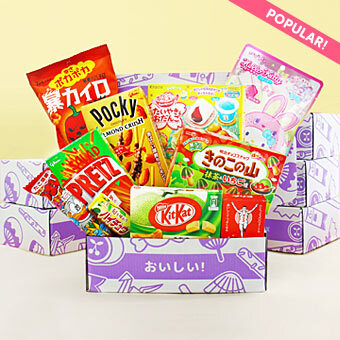 Dole has teamed up with Fujiya to create this exciting flavor combination. 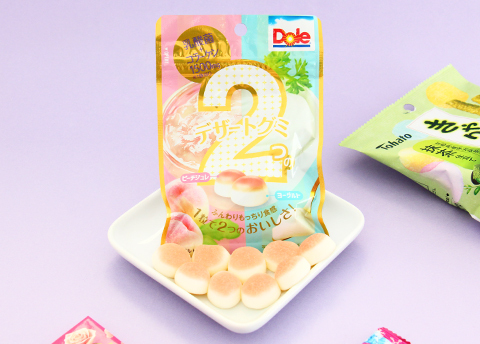 Each soft gummy has a yogurt base and a tasty Dole peach jelly top. 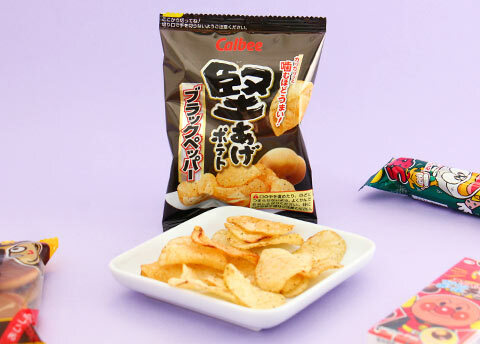 “Kata-age” means hard & fried and this bag is filled with extra crispy black pepper flavored potato chips. 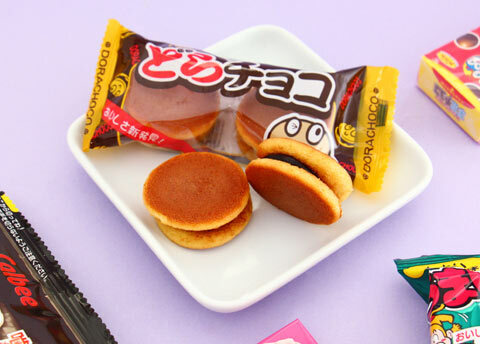 Fun dagashi-sized candy version of the traditional Japanese Dorayaki red bean paste pancakes. 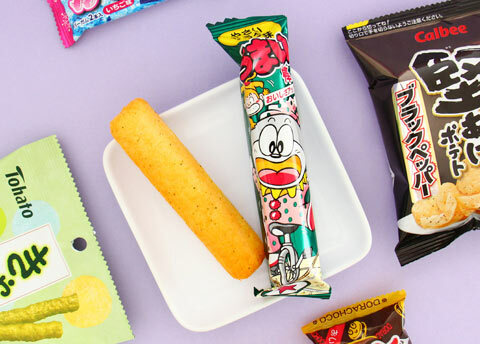 Crispy non-fried caramel corn snacks flavored with premium Uji Mecha green tea from Kyoto prefecture. 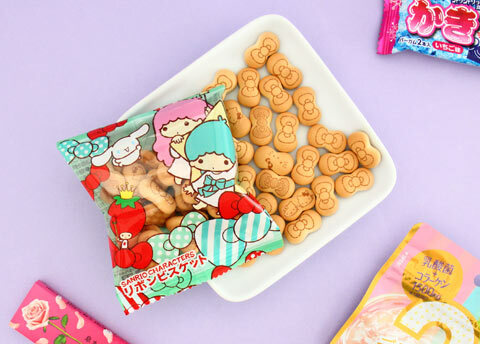 Small package featuring a Sanrio character and filled with biscuits shaped like Hello Kitty’s famous ribbon. 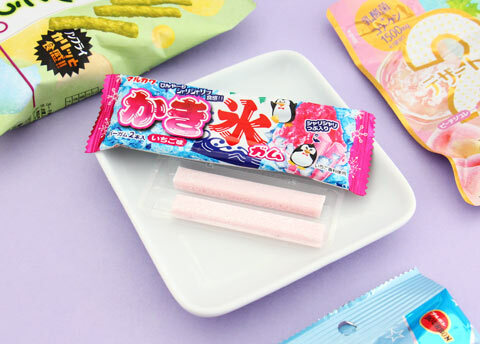 Freshen your breath and stay healthy! 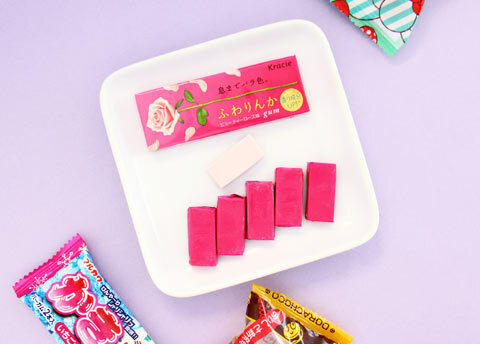 Includes collagen, vitamin C and authentic Damask Rose Oil as a flavor. 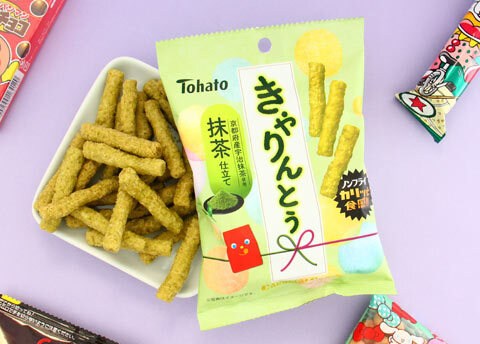 Hugely popular Umaibo, or “Delicious Stick” in Japanese, comes in countless different flavors. 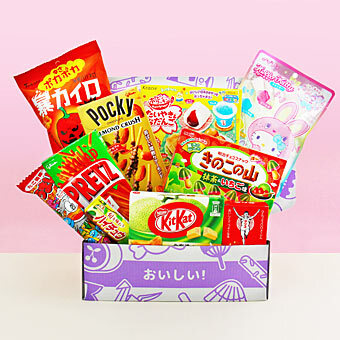 This one is vegetable salad flavor. 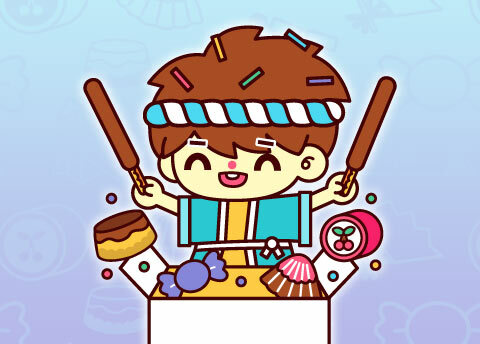 Shaved ice is a popular Hawaiian dessert loved by all Japanese during the hot summer months.